If you have your UI5 application already running smoothly on some cloud platform like SCP or Heroku, it is then very easy to embed it in the Wechat app. 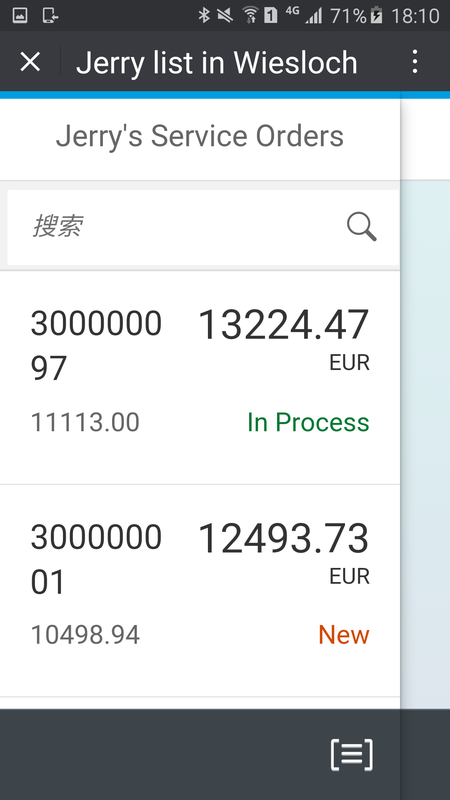 The typical scenario is, when a Wechat user has subscribed your Wechat subscription account, he/she will see some available meu inside the Wechat app defined by you. 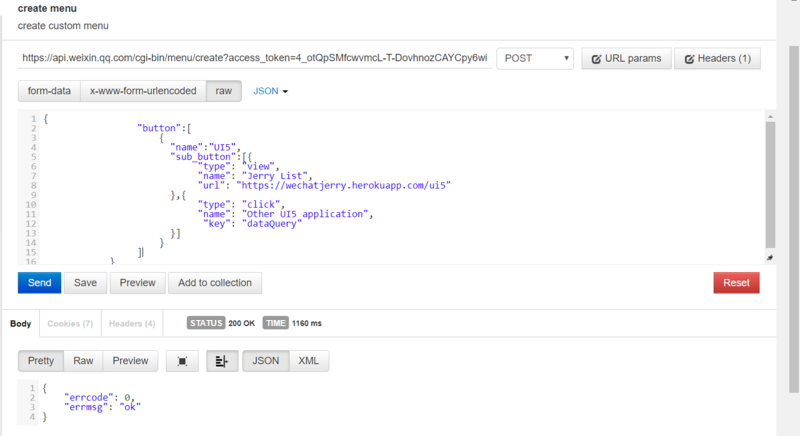 In example below, “UI5” is top level menu and “Jerry List” is sub menu item. 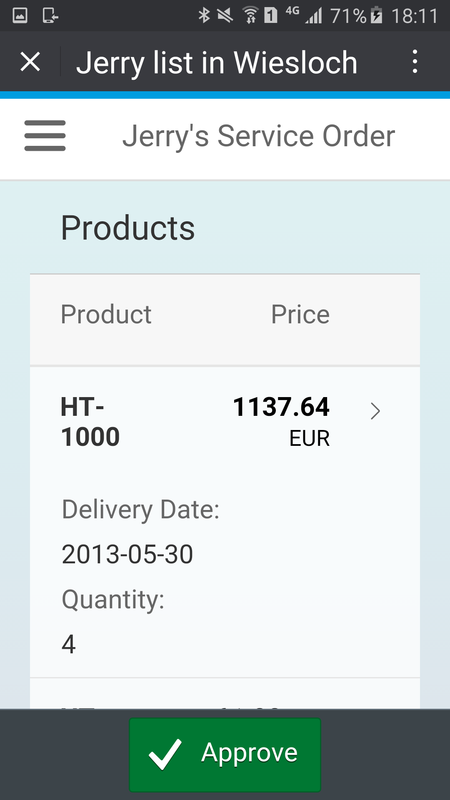 You can define the logic to react to the menu item click, for example opening your UI5 application runnming on cloud platform. When you click the “Jerry List” menu, the UI5 application is opened by a built-in browser inside the Wechat app. Here below is implementation detail. The access token could be retrieved by http get via url: https://api.weixin.qq.com/cgi-bin/token?grant_type=client_credential&appid=<your app id>&secret=<your secret>. 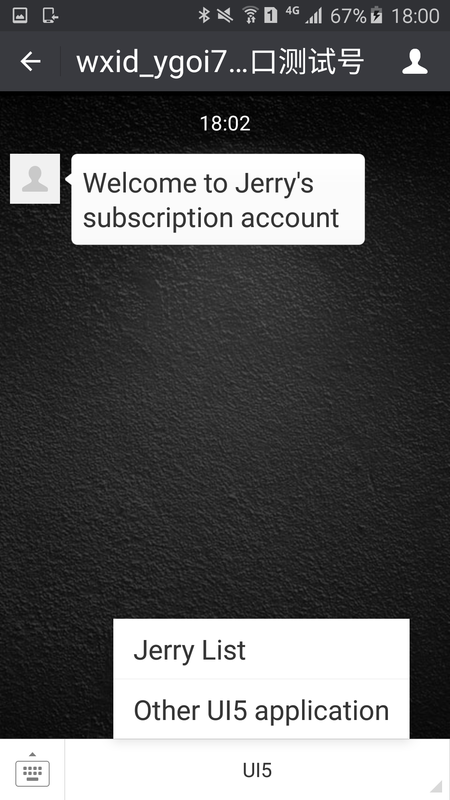 2. since in previous step the UI5 application url http://wechatjerry.herokuapp.com/ui5 is configured to the button “Jerry List”, so you have to ensure this url works correctly. Deploy your UI5 application to a given cloud platform. You can refer to this blog Step by step to host your UI5 application in Herokufor detail step. After that you could test the scenario in your Wechat app.